One. Life Insurance offers a competitive “Rate of Return” on the premiums you contribute. Two. Life Insurance is a tax efficient vehicle. Life insurance death proceeds are received by your family free of income tax. Life insurance cash values grow tax-deferred and can be accessed in a tax-favored manner. If owned outside of the taxable estate, the proceeds should not be taxable to estate tax. Three. Life Insurance can provide for self-completion of your financial plans in the event of death. Life insurance death benefit may offer significant leverage, especially in the early years, and may increase the amount of wealth transferred to heirs. Four. Life Insurance as an asset class. Life Insurance death benefit is not correlated with other sectors of the investment marketplace, such as equities or bonds, thus is not subject to the same factors that those asset classes are subject. By directing a portion of portfolio to life insurance premiums, client may mitigate against market losses. Five. Life Insurance may increase tax-adjusted IRR of your portfolio. Over the long term, life insurance performs much like a tax-free bond in that it provides a good, tax free rate of return. In the short term, life insurance offers significant leverage in the amounts paid out, providing exponential returns on the amounts invested. Six. Life Insurance may increase tax-adjusted IRR of client’s portfolio. Directing funds to life insurance premiums may reduce the return on your portfolio. Potential advantage offered by life insurance needs to be viewed in light of your overall financial situation. 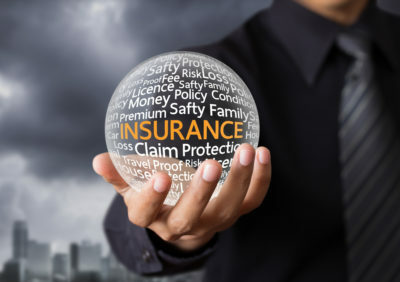 Your ability to see this plan to fruition is based on continuing premium payments, as required, as well as the claims paying ability of the underlying insurer. Your total insurance capacity may be limited by financial underwriting. Life insurance qualification generally requires medical and financial underwriting.